Twenty-five. Everyone looks good at twenty-five. Especially Food Runners. 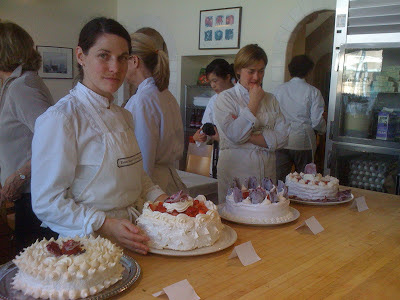 One night, in 1987, following a wedding cake workshop at her cooking school, Mary Risley stared at what her students had just produced and agonized that no one was around to consume the goodies. In that moment, an idea was born. A beautiful, simple idea. So simple that the entire concept could fit on a post-it with room to spare. Mary put the seven cakes in her little Italian sports car and drove to Glide Memorial Church to donate them. "I had frosting all over my car," Mary chortles in recollection. Cake workshop at Tante Marie's Cooking School. 25 years later, Mary's little post-it idea boasts over 250 volunteers, almost 600 donors and over 200 recipients. It's simple: citizens (volunteers) pick up leftover food from local businesses (donors) and deliver it to agencies serving those in need (recipients). That's it. 1 - 2 - 3. Everybody wins. "I love the immediacy of running food and the people I've met on both sides of the process are truly inspiring. I know it's been said many times, but, what you get in return so outweighs the giving, that I feel totally selfish about being a Food Runners volunteer." Ora S.
"There's a sense of joy that's truly incomparable when you complete a food run. The knowledge that you've rescued completely good food that would have otherwise been thrown away and then turned around and given it to people in need is is definitely amazing." David S.
"Every week since I joined Food Runners, I have felt humbled as well as fulfilled to know that I have this small chance to give back to the community that has, for years, and still does, support me." Mary C-R.
Volunteer Mary C-R collecting donations from Happy Boy Farms at the Castro Street Farmers Market. "Our in-house trainings always generate too much food. I can't stand seeing it thrown away. It just isn't right." Steve at Sephora University. "No more composting all this good food. Because of Food Runners, I get to save the company on composting fees, save the environment AND do the right thing!" Head chef of the corporate cafeteria at large tech company headquarters in SOMA. "We have in-house lunches every Thursday and there's always leftovers. It would be a crime to throw the food away. Thanks to Food Runners, we don't have to." Michelle, Office Manager at Mocana. "The food that your volunteer brings on Tuesdays goes a long way for us. We serve the children first and whatever is left goes to our seniors." Jane at the Potrero Hill Neighborhood House. "You have no idea the degree to which Food Runners is helping this community. There is so much need up here on the hill. We can't thank Food Runners enough." Emanuel Hepburn, Hunter's View Community. "The food donations have been really great. The biggest problem is always protein: having enough with enough variety, etc. and having the time to cook it. Food Runners has saved our Saturday Program lunches. Almost always a protein. Always delicious!" Yasi of Community Focus. Typical Saturday meal concocted of tech company donations delivered to Community Focus by Food Runners. Everybody wins. 1-2-3. Simple. Twenty-five years ago, while staring at leftover wedding cakes, Mary figured it out. "There's enough food out there for everyone. It's a matter of distribution." After twenty five years, Mary Risley's little post-it idea continues to make a big difference to San Franciscans in need. The parties! The galas! The food! Sooo much food. So many leftovers. The Halloween costumes are stashed and now Aunt Isabel is rifling through the cedar chest in search of the damask table cloth large enough for the family table when all the leaves inserted. The Season of Excess has officially begun. Food Runners volunteers love this time of year. Showing up with food for those in need is gratifying at anytime, but showing up during the holidays with carloads twice their normal size makes volunteers' hearts expand to three times their normal size. Want to join the fun? There are many ways to donate to Food Runners during the holiday season. Become a Food Runners volunteer. Bet you'll get hooked! Out of town or no time to run food? Make a financial donation. Donate food. Although Food Runners does not pick up from private homes, we will happily direct you to an agency serving those in need in your area. Over the bridges and through the hills, to holiday feasts we go... Do you know what's happening to the leftovers at the all the dinners and parties you'll be attending this season? Tell the host/caterer/event coordinator about Food Runners. Now that's the holiday spirit! Moscone West called. Moscone South called. The Hilton called. The Palace called. The Grand Hyatt, the Marriott and Mission Bay Conference Center called too. They all had leftover boxed lunches. 600 at the Palace. 400 at the Grand Hyatt. 150 at the Hilton. Another 400 at the Marriott... you get the pitcutre! A grand total of about 1,500 per day. Every day for four straight days. Salesforce.com's "Dreamforce 2012"convention was in town September 18th through September 21st, featuring over 46,000 attendees, world re-known keynote speakers, exciting expos, brilliant "break out" sessions, glittering social events, galas, world class musical performances and food, food, food. San Francisco positively rained food. Howard Street was closed between 3rd and 4th all week. Traffic snarled. Locals fumed. Conventioneers, with convention swag in hand, breezed blithely back and forth between Moscone North and Moscone South across the above mentioned, closed-to-vehicles thoroughfare. Downtown hotels bustled at capacity. San Francisco's hospitality industry rejoiced. So did Food Runners. Excess boxed lunches filled the walk-ins, the reach-ins, and every available inch of refrigerator space before finding their way onto the Food Runners truck for delivery to San Franciscans in need. As is often the case during large conventions, there is no way for planners to know in advance how many guests will partake of the lunches provided and how many will choose to dine at local restaurants instead or just skip lunch altogether. Hence the surplus. Purgatory for planners. Pure gold for Food Runners. Paula le Duc Fine Catering, McCall Catering and Events, Taste Catering and Global Gourmet all got into the act too, donating their leftovers following some of Dreamforce's off site social events. Sister Marie Benedict at Fraternite Notre Dame crossed herself and looked skyward when the Food Runners truck pulled up overflowing with lexans full of chicken from McCall's. At City Impact, the dining room manager's eyes got huge when towers of boxed lunches rolled through the door. "Wow. Enough for everybody!" he exclaimed. Kay at the Gene Friend Rec Center just grinned when the teens in her after school program bolted from their volleyball game to the kitchen to chow down on, what for some, may have been their only meal for the day. For a whole week, San Francisco was awash in excess food. 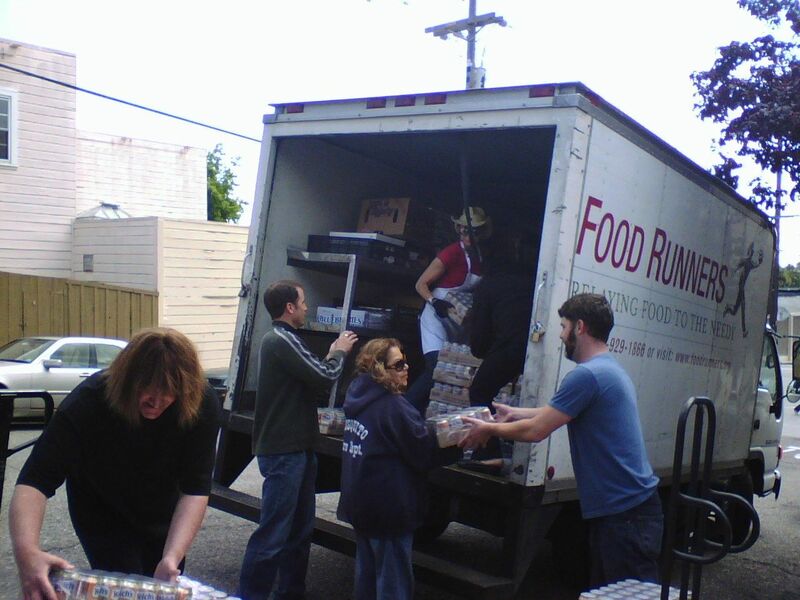 For a whole week, Food Runners made sure that, all over town, agencies feeding the hungry got a piece of the pie. OracleWorld starts tomorrow. It promises to be just like Dreamforce. For Food Runners it is another week of a Food Runners dream come true. Convention season is in full swing and holiday season is just around the corner. 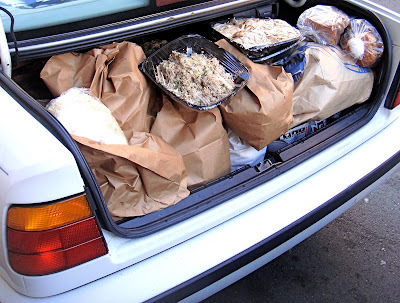 Have you thought about what happens to the leftover food at the holiday parties and galas you will attend? 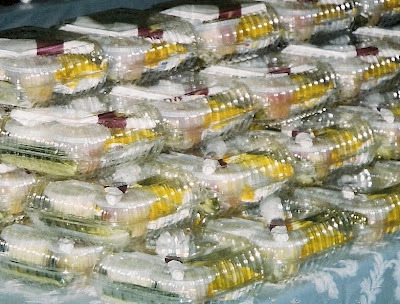 If you suspect it will be thrown away, tell the caterer about Food Runners. A simple phone call to 415-929-1866 will keep the food out of the garbage and get it to where it is needed most. From the hillside, the view unfolds in spectacular fashion. It's all there: the San Francisco skyline, the navy blue waters of the bay, the Bay Bridge, Treasure Island, the Oakland Hills... the panorama stretches as far south as Mt. Hamilton. And, unlike most of San Francisco, it's almost always sunny on the hillside. A beautiful spot, right? Wrong. The hillside is Hunters View, a crumbling 267 unit public housing project that was constructed in 1956. The buildings are colorless, dirty and dreary. The rumble and grind of bulldozers and back hoes echoes through the twisting streets only adding stress to the already stressed population. The good news is that the added stress is temporary. The old housing units are in the process of being demolished. 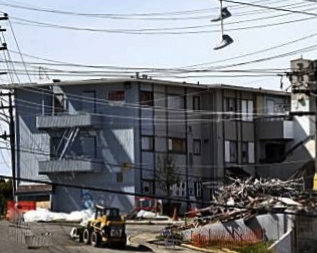 Under the City of San Francisco's HOPE SF program, Hunter's View is being completely revitalized with new housing, parks, landscaping, a community center and more. Tucked away at the end of West Point Avenue, past the piles of rubble, down some old cement stairs, in one of the still standing old units, you will find Hunter's View Community, a small makeshift community center that is a safe haven from the neighborhood's chaos. Hunter's View Community offers programs for seniors, kids, teens and families. 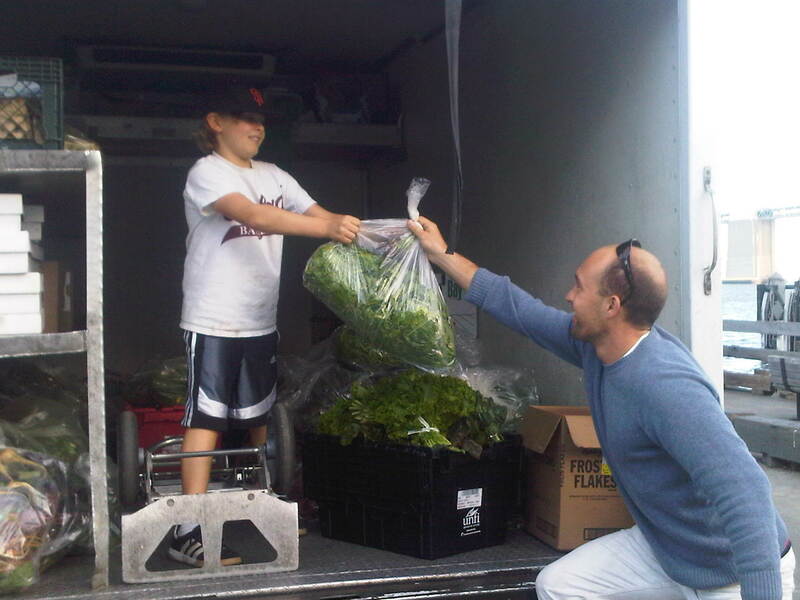 The Food Runners truck pulls up to Hunter's View Community, mid-morning every Monday. Drivers David and Kacie rolls up the truck's back door to reveal an assortment of food ranging from fresh fruit to deli salads to sandwiches to baked goods. The donations come from Whole Foods where a single freckle on an apple relegates it to the "spoils." In other words, good stuff! "We feed the small children first," states program coordinator, the tall, debonaire Emmanuel Hepburn. "Then, the seniors. What's left goes to the after school program and families. Food Runners has made such a difference," Emmanuel continues. "Not only do people get food that they really need, but because of Food Runners, we can to spend less money on food allowing us to use it for other essentials that help keep the program going. People are living so on the edge in this neighborhood. Some of the kids go days without seeing a parent. Food really helps rally the community too. We have greater program participation because of the food. Especially from the teens. More participation means less trouble!" "We love Food Runners," a senior toward the back of the community room calls out. "I'm here every Monday with my bag. It's the best food I get all week." Glad we can help, Hunters View Community. Glad we can help. Is your local market, bakery or restaurant throwing away food that an agency like Hunters View Community can use? Tell them about Food Runners. 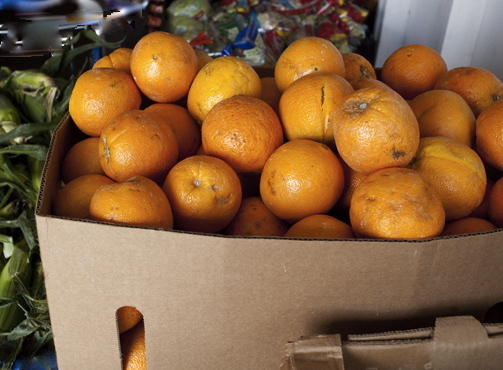 A simple phone call to 415-929-1866 will keep the food out of the garbage and get it to San Franciscans in need. It is estimated that 197,000 people in San Francisco struggle each day to feed themselves and their families. Food Runners is part of the solution. Tell everyone you know. Food Runners volunteer Tamsyn's kids were bored. Bored silly. By the fifth week of summer vacation, day camp was getting old and besides, it was Sunday. No camp on Sunday and most activities around town would be too clogged with tourists to be worth attending, to say nothing of the inevitable nightmare of parking. "It's my turn for the iPad," whined Perrine, Tamsyn's youngest, just as the the Lego model James had been working on clattered to the floor, shattering upon impact. "See what you made me do Helena?" James screamed at his sister who had been hula hooping nearby to music blaring from the iPad. "It's not my fault," Helena shouted storming up the stairs. Oy. Sound familiar? Tamsyn knew just the remedy. "C'mon kids. Get in the car. We're going on a food run. Helena, get some bags. Perrine put your shoes on. James; Henry and his mom are going to meet us at the market. You and Henry can be the food guards. Let's go earn some angel wings!" Twenty minutes later, Tamsyn wielded her silver van through the throngs at the Fort Mason Farmers Market. To Tamsyn's shock and amazement, she found parking without having to circle the lot. The market looked busier than usual. Henry and his mom were waiting at the Roti Chicken truck as planned. Tamsyn stationed James and Henry on the small cement island at the head of the market. "We'll pile up the food up here and you make sure no one takes anything before we're ready to load the cars," Tamsyn instructed. The boys puffed with self importance at being handed such a heady job. "Helena, you help Henry's mom with that side of the market. Perrine and I will do this side," Tamsyn continued. With that, the ladies/girls headed off, bags in hand, to the various vendors to collect the day's donations. And what donations they were! 2 giant bags of head lettuce, 1 box of oranges, numerous bunches of chard and other greens, several bags of tomatoes, a crate of onions, a crate of yellow squash, a flat of strawberries and oh... the bags upon bags of plums and nectarines! All farm fresh. All beautiful. All ready to be delivered to San Franciscans in need. When all the donations had been collected, the kids helped Tamsyn and Henry's mom load their respective vehicles. "That was fun, Mom," Henry exclaimed. "Can we do it again?" Henry's mom smiled. "Who needs Pier 39 or Alcatraz on a summer weekend when you've got Food Runners," she chuckled to Tamsyn. "And the price is right too!" "Mommy," Perrine chirped as she climbed into her car seat. "Did I earn my wings?" "Yes," Tamsyn assured with pride. "You earned your wings. Thank you for a great Sunday afternoon, Food Runners." The dog, or in the case of San Francisco, the "fog" days of summer are here. Are you hosting a barbecue or a picnic this month or know someone who is? Undoubtedly there will be leftovers. Don't throw them away! Call Food Runners at 415-929-1866. Getting food to your fellow San Franciscans in need is that easy. Food Runners can't wait to hear from you. Ever wonder what it's like to do a food run? Food Runners volunteer Wanda states it perfectly in an email sent to me after completing a call-in food run last week. "Thank you for an amazing run today. First, I picked up from Dana at Rally. Somehow the two of us had this incredible, instant connection. We stood talking on the curb for at least 20 minutes with traffic and construction flying by. 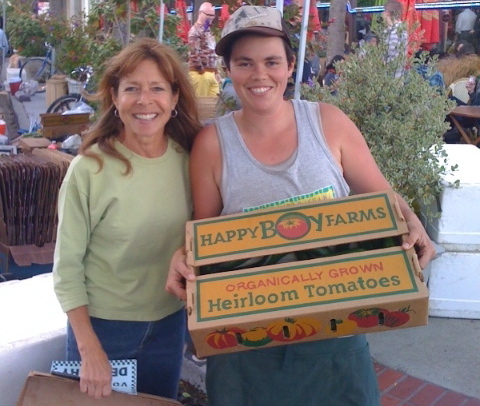 Dana, who is also the founder of Food Shift, is a true, kind-spirited soul planning to do good by reducing food waste through educating the public. Not only did she provide a huge amount of food, but I feel privileged to have met her. On to Sauce Labs to meet Ashley who was so excited to be offering their first donation. Again, a significant donation -- pizzas, salads and more. She asked lots of questions about Food runners, told me they frequently have leftovers and is hoping to become a regular donor. By this point, as I get in my car, I am almost in tears because these two young ladies are so passionate about donating food. Now, I need to overcome my emotions and remember that I have a car full of food to deliver! The SOMA traffic and construction was daunting, but I had such a smile on my face. I felt no stress. I arrived at the 9th Street address, (no parking, construction only!) but I am still smiling. 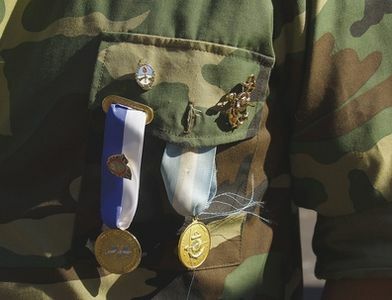 I call the veteran's group who is receiving their first donation. The social worker in charge arrives at my car with three vets to help her and she simply cannot believe what we are delivering. She thanks me profusely, but I remind her I am merely a taxi -- that lots of wonderful people made the delivery possible. "You have no idea how this is going to help," she commented. "I have a room full of hungry vets." She was almost in tears. That was the last straw. I hurried back to my illegally parked car and the tears flowed. I feel so honored to be part of Food Runners. I was very sad about giving up my "regular" (weekly) run to Google when my work schedule became so unpredictable, but I think these last minute fill-in runs are going to work out just fine." 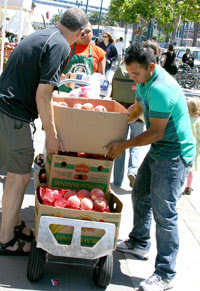 Food Runners mission is to to alleviate hunger, prevent waste and create community. Thank you for volunteering, Wanda. Mission accomplished! Weddings! Barbecues! Pool parties! Company picnics! Summer is here. Do you know what's happening to the excess food at events you are attending? Ask the caterers what they are doing with the leftovers. Tell them about Food Runners. In San Francisco, edible, perishable food need never go to waste. 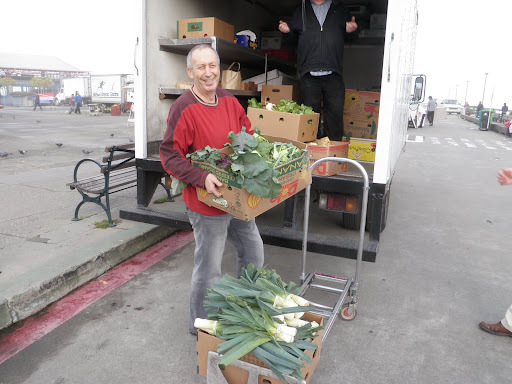 A pick up and delivery by a smiling Food Runners volunteer is just a phone call away at 415-929-1866. Succulent strawberries snuggle in their flats, shoulder to plump, scarlet shoulder. Mangoes blush demurely in their cases, waiting patiently for their turns to be fondled for ripeness. Slender asparagus spears repose in neat rows next to boxes of architecturally perfect artichokes. The clock tower scrapes the blue-wash sky where nary a wisp of San Francisco fog dares drift. Welcome to Spring at the Ferry Plaza Saturday Farmers Market. The market is big. It's bustling. It's a blast. People come from all over San Francisco toting canvas bags that beg to be filled with California's finest, freshest produce. Even when shoppers purchase plenty, there's always food left over. "Bring out your food," booms a basso profondo wail, complete with British accent. The call comes long about 1:30 when when the market begins to shut down for the day. "Bring out your food," repeats the owner of the voice, a tall sandy haired man wielding an industrial cart up. "Over here, Keith," cries out vendor after vendor. "I've got something for you," they offer. Keith, or "Food Runner Goldstein" as he often refers to himself, waits at various booths as vendor after vendor hands him whatever product they couldn't sell that day and that won't make it in conditions up to their high standards to their next gig. Keith and his long time assistant Seth A. from Kathmandu, pile bag upon bag and box upon box of beautiful produce, eggs, nuts and various other market sundries onto the cart before loading it into the Food Runners truck. Some 45 minutes and many cartfuls later, the truck is stuffed to the gills. 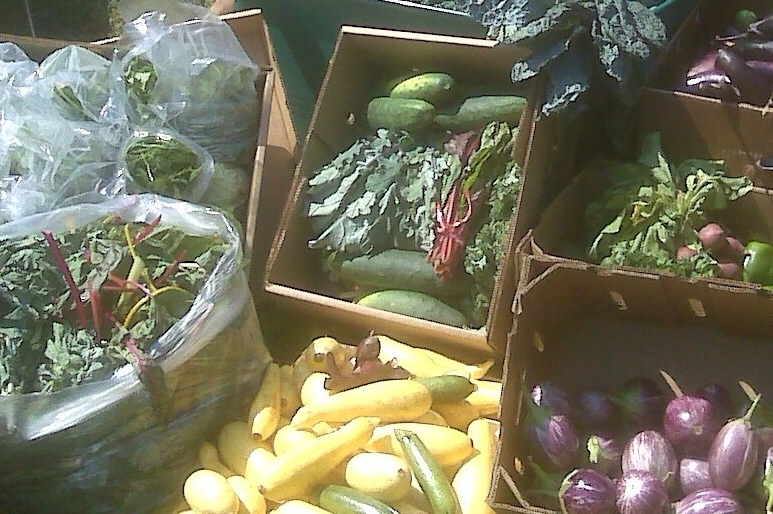 During peak summer months, the haul often totals over 1,000 pounds! That's 1,000 pounds of edible food that would otherwise go in the garbage. 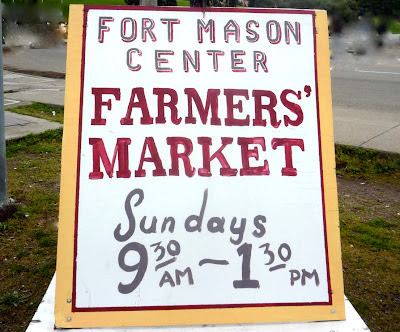 After Keith and Seth have canvassed the entire farmers market outside the Ferry Building, they go inside to collect donations from the following shops: Delica R-F 1, Miette Cakes, Frog Hollow Farm, American Eatery and Pepple's Donuts. Once finished collecting everything, Keith and Seth A. from Kathmandu climb into the truck and set out for their delivieries to various agencies serving those in need including Martin DePorres and Hamilton Family Center among others. The whole run takes 3-4 hours. Saturday after Saturday, week after week, year after year, Keith does the run. He's has been doing it for seventeen years. Keith is a VOLUNTEER! As if his work with Food Runners weren't philanthropic enough, Keith is also the founder and president of Nepal S.E.E.D.S., a non-profit organization providing relief to some of Nepal's poorest villages. Villages and a people that Keith fell in love with upon his first visit there many years ago. In addition, Keith owns Everest Waterproofing and Restoration in San Francisco where he has provided jobs to many Tibetan refugees in the Bay Area. If you'd like to witness "Food Runner Goldstein" in action, head down to the Ferry Plaza Marketplace one Saturday between 1-2PM. Just follow the sound of Keith's plaintive "bring out your food" and you will spot him, usually in a red t-shirt, encouraging the vendors to load him up with "food for the people." Check out the quality and quantity of donations he's collecting. You'll be amazed. Be sure to tip your hat when you see Keith. Keith is tres cool. Keith is a Food Runner. Keith is a hero. It's baseball season! what does that mean for Food Runners? More food! Food Runners picks up excess food from AT & T Park following every home game. More food = more full bellies. Go Giants and pass the mustard please! Is your local restaurant or grocery store throwing away food? Tell them about Food Runners. Food Runners is fast. It's easy. It's FREE and most of all it makes a difference. Some are tall. Some are small. Some are old. Some are young. Some text. Some do not. Come November, some will vote for Obama. Some will vote for the other guy. Food Runners volunteers come in all shapes and sizes from all walks of life. Hipster or codger, college student or college prof, soccer mom or working mom, group or individual, they all sign up because they want to help. In an essay written for an application to nursing school, volunteer Syndey N. describes the Food Runners experience beautifully. "I've been involved in community service activity in San Francisco since September of 2011, helping out in the area that is near and ear to my heart. I volunteer with Food Runners, a San Francisco based non-profit that redistributes food (that would otherwise be thrown away) to those in need. I chose to work with Food Runners because for me, eating is so much more than just meeting energy and nutrient needs. Good food is something that should be savored and appreciated. The very act of eating a meal is something that can be shared with family or good friends, serving to build stronger social ties. For many underprivileged folks right here in the San Francisco, eating a meal that is both healthful and delicious is sadly beyond their reach. As a Food Runners volunteer, I have a weekly run that I'm responsible for. 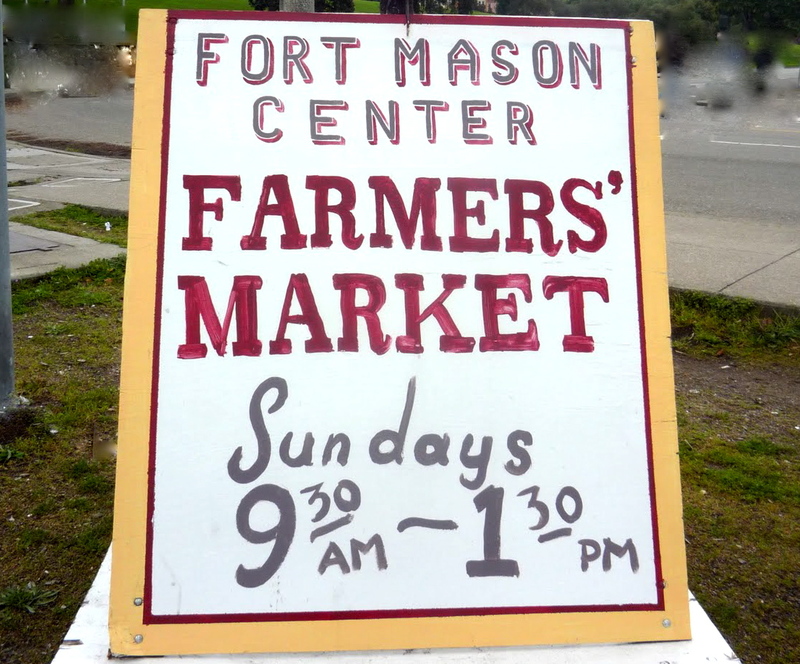 When I first started with Food Runners, my pick up locations were near the waterfront... Fort Mason, Fisherman's Wharf. My deliveries were the same places each week one of which was a residential building for low-income folks located in the Tenderloin district. Heading down to Fisherman's Wharf makes one feel like a bit of a tourist, but by the time I reached my drop off destination, I felt as though I had just gone on a driving tour of San Francisco. A tour passing through the regions of "haves" and "have nots." Seeing these stark contrasts in such a short time span can really create feelings of unjustness. I was glad to do something to help. Of course, because I delivered food each week to these folks, I got to know some of them by face, many by name. They were always happy to see me pull up to their home with my car loaded down with delicious fresh food. And I, likewise, always felt happy to know that I had helped these people at least on that day, have a little food security." Helping thy neighbor with food security is what Food Runners is all about. Creating community is a wonderful collateral benefit. 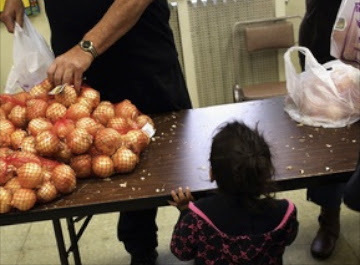 Should you have any doubt that food insecurity is on the rise, even in a city as blessed as San Francisco, check out the San Francisco Food Security Task Force's recent report on the subject. Or pull up to St. Gregory's Church one Friday at lunch time and watch the line of people waiting for free groceries build until it wraps far around the block, 3-4 abreast. You might even see the Food Runners truck arrive with a giant load of donations from Whole Foods, Bay Bread, Genentech, SF Baking Institute, Laguna Honda Hospital and more. Food Runners can't change the world, but with our trusty truck and an army of dedicated volunteers like Syndey, we can change things for our neighbors. One bite at a time. Are you or do you have friends who are looking for ways to give back but aren't sure what to do? Tell them about Food Runners. There are three ways to help. Donate time. Donate food. Donate money. Any way you slice it, donating to Food Runners is fast, it's easy and it's fun. And most importantly, it makes a difference. 2011 proved another year of growth for Food Runners. Between environmental concerns and financial havoc, awareness of hunger and waste was greater than ever. Throughout 2011, more businesses called more often to donate their leftovers to Food Runners. Volunteerism was up overall in 2011 as well. David Letterman, step aside. Check out Food Runners Top 10 list of highlights from 2011. 10) VOLUNTEER FUN: "When I went to pick up donations from the Ferry Building Farmer Market, I came upon Jeremy Irons (!) rummaging through the compost bin. Turns out he was in town filming a documentary about recycling and composting around the world. One never knows who they are going to see on a food run. Just another Food Runners volunteer perk!" from volunteer Danee A. 9) LUNCH ANYONE? Who doesn't love a good P B & J sandwich? USF student Steffi's thoughts exactly. In February, Steffi organized a crew from her Alpha Phi Omega chapter to make 100 bagged lunches for donation. Steffi called Food Runners who directed her and her team of "food angels" to deliver the lunches to after school programs for low-income students at both Booker T. Washington Community Center and Hamilton Recreation Center. 8) NUTS TO SOUP: "It's all very fresh and delicious," stated Adam. "It was supposed to be vegan but some chicken stock got in the mix by mistake and we can't use it." Thus came the call from San Francisco Soup Company to donate 300 gallons of delicious corn chowder one Thursday in March. Food Runners truck drivers David and Kacie happily delivered the product to Fraternite Notre Dame, Martin DePorres House of Hospitality, Harbor Light Center and Derek Silva Community. 7) HOT DAWG! : It's yellow. It's orange. It's sleek. On November 18th the Oscar Mayer Wienermobile did food runs for Food Runners. The kids at Columbia Park Boys and Girls Club are still talking about their Food Runners delivery that day. Good deeds come in all kinds of packages. 6) ALL TOGETHER NOW: Whole Foods Potrero and Whole Foods Noe Valley had already been making daily donations to Food Runners for years. Whole Foods Haight opened on February 16th. Food Runners volunteers were on the job from day one. Whole Foods 4th St. joined the Food Runners bandwagon in September. Now all the San Francisco Whole Foods stores donate to Food Runners on a daily basis. Yes, yes, yes! 5) TWEET/LIKE: Food Runners joined Facebook and Twitter in August. Check us out! 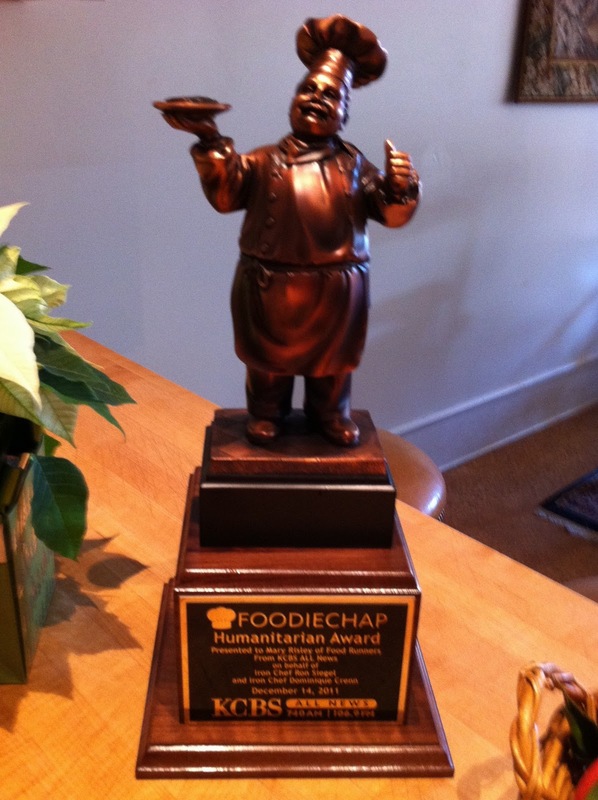 4) WELL DESERVED: On December 14, Food Runners founder, Mary Risley, received the Foodie Chap Humanitarian of the Year award, presented by KCBS News Radio on behalf of Iron Chef Ron Seigel (of resturant Parallel 37) and Iron Chef Dominque Crenn (of restaurant Atelier Crenn). 3) TWEET, TWEET, TWEET: Have you ever tried to find a phone number for a modern high tech company? In September, with no phone number in sight, Food Runners emailed a random employee on the Twitter website contact page inquiring as to the fate of the corporate cafeteria leftovers. Chef Lance from Twitter called the next day. Since then, Twitter has been donating multiple trays of beautiful cooked food on a daily basis, Monday thru Friday. 2) OUTSIDE THE BOX: The Outside Lands Festival dominated the western end of Golden Gate Park from Friday, August 12th thru Monday, August 14th. Food Runners, in partnership with Ashley Hillis, creator of the Zero Leftover Initiative, picked up approximately 2 tons of excess food over the course of the festival. 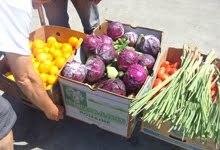 That's 2 tons of nutritious food that went to San Franciscans in need instead of the garbage. 1) THE RESULTS: "I would like to share one of the miracles that comes from Food Runners. The Oshun drop-in center for Women and Children has only prevailed through tough times due to Food Runners unconditional support with food donations delivered by dedicated volunteers." Chef Danny Higginbotham, Walden House. "For once, these teens might get enough healthy fuel to get through their afternoon. For some of these kids, if it weren't for Food Runners, lunch would be their last meal of the day." After school program staff member Mike, Hamilton Recreation Center. "The food has not only offered nourishment, but it has also helped students expand their palates and their views of what is nutritious. With the help of Food Runners, students have felt appreciated and cared for." Program coordinators Jodi Tsapias and Dania March, Downtown High School. "I just want to thank Food Runners for the generous donation that came yesterday. "It was like the holidays," said the tenants. It was a great community feeling watching everyone talk and eat meals. When I see smiles on the tenants faces, I'm happy." House Manager, Elise W., Leroy Looper Residence. It's a brand new year! Remember to spread the word that Food Runners is always looking for more food. Tell your local restaurants, grocery stores, bakeries and other businesses that they never have to throw away or compost good, edible food. Food Runners is just a phone call away at 415-929-1866. And don't forget to tell your friends that they can help too by becoming a Food Runners volunteer or by making a monetary donation to Food Runners. Giving back never felt so good!